One of those pictures are in my social studies book. Weird huh? Anyway, like the pics. what was the manager thinking!!OMG. rofl. Ibet you can never find the restroom when you gotta go at that place. Wonder what the bathroom looks like? Looks like it would be fun to eat there.Shows a sence of humor and you don't even have to excuse yourself when the 'urge'hits.lol.obviously I'm not as uptite as some responces,but then I got this link from peesearch. One day they will have one restaurant in a mortuary. 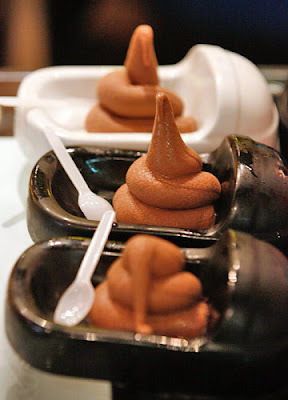 I bet more than one person has tried the chocolate ice cream and yelled out "ewww...this tastes like sh!t!!!" Wonder if there are peanuts in that ice cream. they sell doodoopie i bet! As I haven't visited back home in a number of years, this would definitely be on the top of my list of places to visit whenever I can budget in a trip for the family. It's simply pure genius at its best! 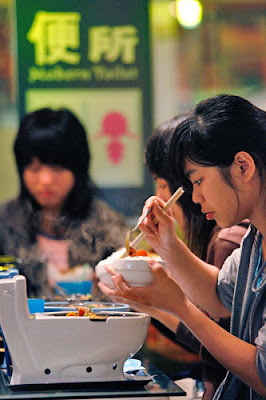 I visited that restaurant during a trip to taiwan and seeing this post was very nostalgic for me. 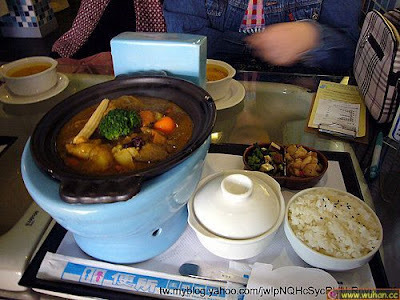 I ordered the curry, which they served in a giant toilet bowl and at first it was quite difficult to eat lol. It's a very nice place though and should definitely be a destination on anyone's trip to the area. I see (corn) floaters in that curry! Confucius Says: Make sure you smell before putting in mouth. Nevertheless, I may visit later this year if they are still in business. Definitely not the place to order the Pu Pu Platter! I would totally eat here! I would leave a present in one of the toilets as I'm leaving. why would you not want to eat here?!?!?! me and all mi amigas wanna go, and i think it would be amazing if they had one near me! Well, they have to do SOMETHING with their sewage! After all you a what you eat! I meant to say 'You are what you eat'. I need to change the destination of my honeymoon to this place!! So, in mexico city is deuce, the shiet your breath any time. 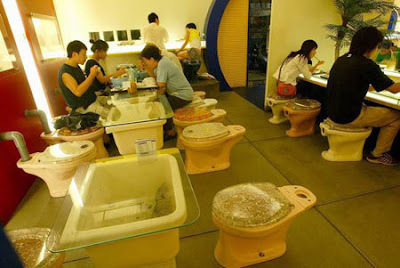 all you people who eat in a place like this are so f*cken sick in the head!! !you all look like sh it too!!! I've been there, saw the place (and I think it's original, not so boring as 'modern' restaurants) and did eat to. Food tastes great, and the way they serve it is as original as the place itself. Don't judge the place on pictures only. Try it first, then make your decsion. Haha, Taiwan rocks, love this! I went to their only restaurant in Hong Kong. LOVED it!!!! 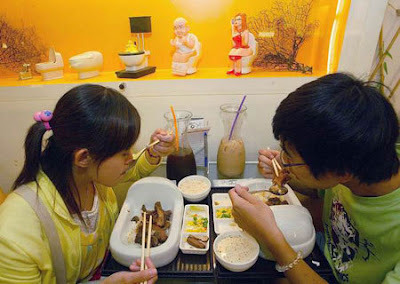 But dunno why, by the pictures, it seems that the food it Taiwan is more yummy!!! Makes me hungry!!!! They should put candy corn in the ice cream. omg... how can that restaurant have any clients. yuk! Crazy Taiwanese. Essa postagem é muito interessante, parabéns. i have been here before the lady said that they have poo-like lamps................and they do!!! I honest to God hate when people leave stupid comments. "I bet they sell doodoopie?" You've got to be kidding me. The really funny part is that they probably do. Whoever left the comment that said the guy who opened the restaurant was a dumbass is a dumbass themselves because obviously the resaurant is getting a lot of business, dumbass. 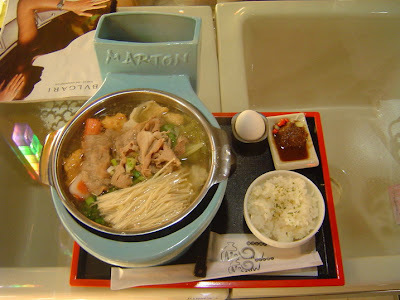 Mmmm yumm food looks good but...I don't know about eating food out of a toillet and yearnal!! Think about it...it is totally efficient. You skip a step in the scheme of things. Besides, would you rather have a Chinese restaurant with a CAT theme???? The bathroom looks like a normal bathroom except you clean your hands in a toilet looking sink... So neat! It was a good idea to make that restaurant,it looks fun.. 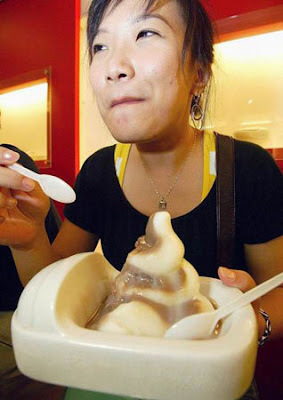 I wanna to eat a puffy icecream delicius!! makes me want to eat poo! Mmmmmmmmmmmmmm... Yummy I will definately come here soon :P !!! I'm not sure I'd enjoy this place, and the reason actually does not really have anything to do with the theme itself. 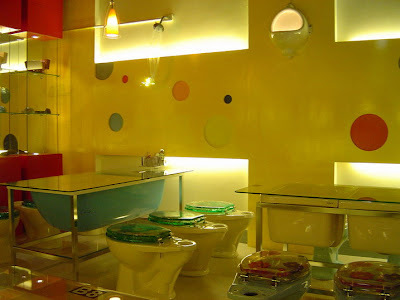 The only (and I consider it to be quite important) downside of this restaurant is the fact that the the toilets people sit on are essentially stools, not chairs (i.e. they have no back). lol!! its very curious!! !but theidea is veryyyyyy origianl,i like that!!! its crazy!! SAW THIS RESTUARANT ON "EXTREME RESTUARANTS", IT LOOKED SO AWESOME, I HAD TO GOOGLE IT!, I WOULD ABSOULUTELY LOVE TO EAT THERE, WONDER HOW THIS HASN'T HIT THE STATES YET! CAN WE SAY FRANCHISE? 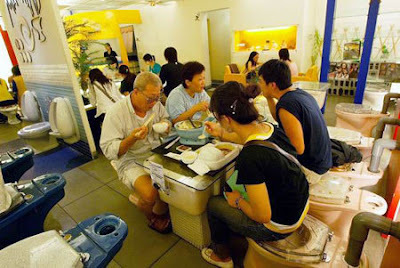 I'm going to Taiwan in February, and this restaurant is on the top of my "To doo-doo" list! I wonder how many of the entrees have corn in them. On TV they showed the curry - it looked nasty. FYI the bathrooms have a toilet bowl to wash ur hands in haha...... apparently the curry there has been voted the best in mmm taiwan was it? I always see this restuarant in a magazine, tv, news. But never been there to eat. My husband don't want to go there. After I saw your post. 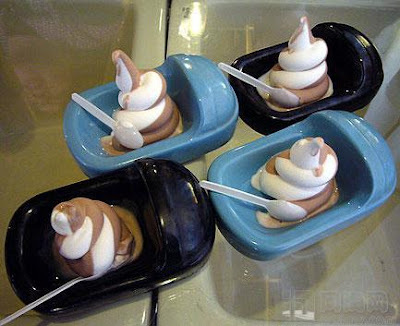 I didn't want to intent to go there either specially the shape of the ice cream is like a pooh. It seemed just somebody just came out from the CR then serve in a table. But very interesting place to eat indeed. Great innovation. Hm.. 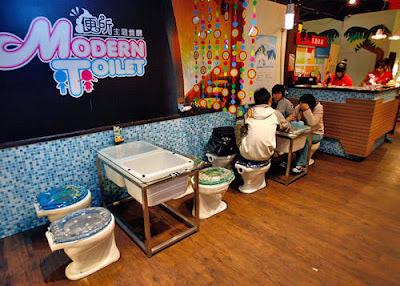 But don't think anything about toilet when you eat there. 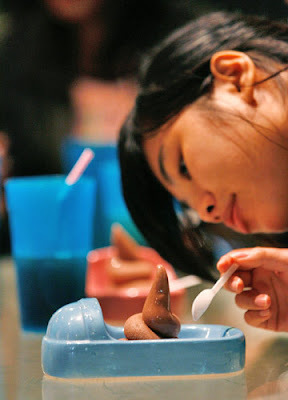 Me again, I can't believe how the chocolate ice creme looks like poop! Ha ha ha ha ha ha ha ha ha ha ha ha ha ha. I just can't stop laughing about that I could spread 1 laugh to every one in the world, thats how much I am laughing right now GTG. 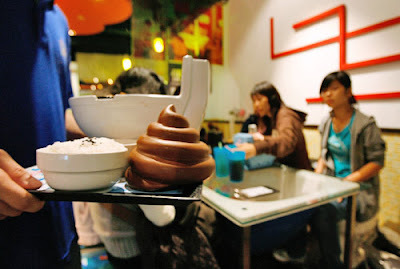 I saw that restaurant on Discovery Channel and it said that there mascot was an ice cream that looked like a crap and that they drank out of urinals. Appetizing. I have seen that before on some other site. I just cant stop my laugh. Yucks, this looks so yummy. Maybe if something like this exist in my country i will come everyday. LoL that must be fun. Eating all the poop type stuff put in the pot seat. Dirty minds. Hi, I found your website from google, after I read your story I wanted to comment a little, that your writing is very inspiring and Creative, so keep writing and good writing. Cool place! I never thought I could find a restaurant like this. This is so much fun to experience eating in that place. Thanks for share this info. I thinks it's useful info for me..
wow, is that poo delicious? I loved reading this, it was very interesting, thanks. I get bored reading the same-old-same-old all of the time. Thanks for providing something fresh and new! Very pleased to find this site.I wanted to thank you for this great read. What the hell!! how they could eat there? I am going to say what everyone else have not said above, but i must say , you are genuinely well-informed.I cannot believe how much of this I just was not conscious of .Thanks for submitting more data on this topic for us .I’m truly happy and really impressed. Appreciate your yet another helpful internet site. Wherever in addition may I purchase that will sort of information coded in a real excellent means? I own a venture that we're at the moment implementing, i have been getting the design out and about pertaining to this sort of information. I will never go in such restaurant. 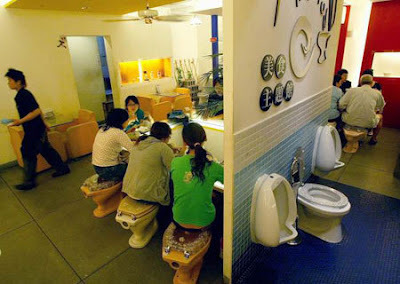 Eating in toilet is a crazy idea. Such restaurants do really have odd themes. Different people do have different tastes on ambiance and environment. This bog can be appreciate with all of us. Find out android apps developer with dedicated web services and design, expertise in java programming language, able to implementing your idea into real application with reliable cost and effective project time. Call us if you want to feel something you probably haven't felt in a while- Hope. The decision to file bankruptcy lawyer new york . Hahaha.... Cool... What a creative idea! But don't think anything about toilet when you eat there. Really nice post, and good blog!! I think your blog is great information source & I like your way of writing and explaining the topics. Keep it up. I'm going to follow your blog.